As any serious user of Twitter will attest, the microblogging phenom is about a whole lot more than what its users had for breakfast. In fact, as we've seen with Dell's experience, the site can be a great way to share news about shopping bargains and even to distribute virtual coupons. Now, it seems, Twitter's owners have started to pay attention too. According to the New York Times, the company has concrete plans to sell products under discussion and process orders directly on the website. "As people use Twitter to get trusted recommendations from friends and followers on what to buy, e-commerce navigation and payments will certainly play a role in Twitter monetisation." Chaffee also explained that Twitter will soon introduce ways for users to categorise tweets according to their origin: "Twitter will develop filters to help users manage and classify their tweet streams into useful categories, such as tweets from friends, family, celebrities, news organizations [and] charities." 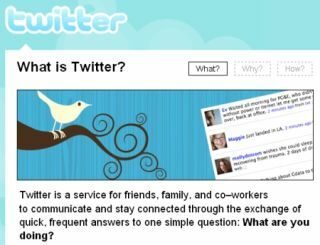 In other words, the company will finally catch up and offer tools already provided by services like TweetDeck, Tweetizen and Philtro.